The recovery and preservation of sight is always a deep concern of POST. This is because being able to see is so vital in Developing Countries where facilities for the blind and partially sighted are poor. 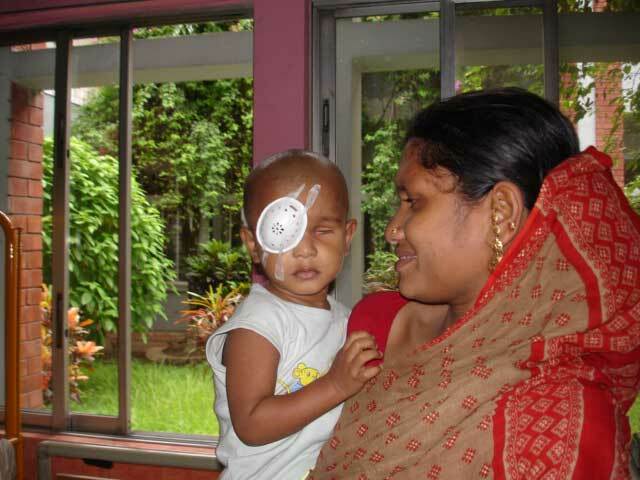 We therefore support the work of Sightsavers International in Developing Countries (Fig. 1) and Village Aid who work to secure livelihoods for the blind in Sierra Leone. The high incidence of AIDS on the African continent presents many pressing problems, not least because it attacks people at the age when they should be at their most productive in terms of making a living for themselves and their families. We have therefore supported the Joshua Orphan Care Trust and the Chennai Orphanage in their work with children orphaned by AIDS. We have also supported the work of Act4Africa in their programme of education for AIDS prevention. 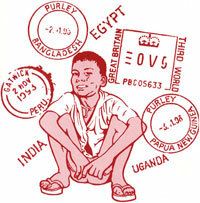 POST also supports Child Welfare Scheme’s work in remote areas of Nepal. Fig. 3. A baby delivered safely at Phalpu Hospital – a new life in thin air! Fig. 4. A child from a slum community receives a health check up – Asha Mobile Clinic.